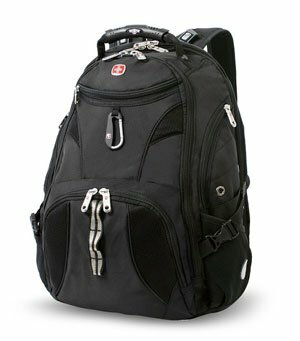 Mobile professionals and college students need a heavy duty backpack to carry their laptop, luggage and books. A mobile professional need to travel randomly for his/her job and need to carry essential business contents. A college student needs to carry a lot of books, binder, laptop and other study materials. So both of them need a medium to large size backpack with large main compartment and well-padded laptop compartment with maximum protection. If you are one of them, then the Wenger SwissGear Synergy Backpack is one of the ideal backpack for you. The backpack made of high quality materials and durable enough to carry huge contents. The back panel comes with airflow technology, so that you can carry the backpack for a long time comfortably. The Wenger Synergy Backpack comes with a large main compartment to carry everything you need during travel time. 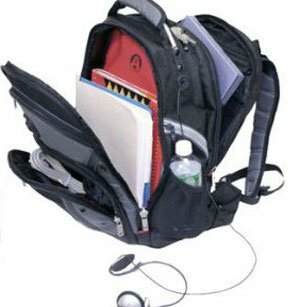 You can carry your laptop, some clothing, files, documents, gadgets through the backpack. Students can carry 6-8 books, binders, a laptop, tablet and other essential study materials. As the main compartment comes with well-organized feature, so you can pack or unpack your contents easily and quickly. Dual zipper on the main compartment stable enough and you can use the backpack for a long time. The laptop is one of the expensive and important element and you must ensure the security of your laptop. The backpack comes with a separate laptop compartment. This laptop compartment padded enough to keep your laptop safe from any kind physical, drop or hit damage. Although, the laptop compartment fit a 15 to 15.4 inch laptop or notebook perfectly, but you can carry up to a 16 inch laptop through the backpack. There is an extra attaching strap available in the laptop sleeve to hold your laptop/notebook tightly. 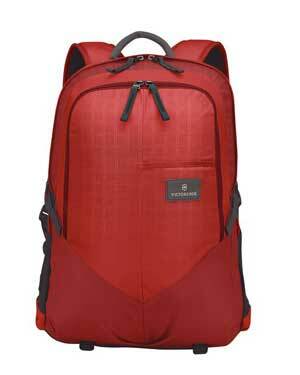 The Wenger SwissGear Synergy Backpack made of high quality Nylon and Poly materials. So that backpack is durable enough to carry huge weight. You can use this backpack for 3-5 years (as the backpack owner mentioned in the review area of this backpack at Amazon) without any difficulty. You can also use this backpack in the rainy season because of its Nylon and Poly fabric. Your contents will remain safe even from snow, dirt or dust. 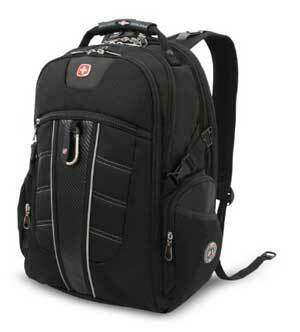 The Wenger GA-7305-14F00 Backpack comes with adjustable and padded shoulder strap that is most important for comfort. The padded back panel also comes with airflow technology that provides maximum comfort to carry the backpack with huge weight. There is also a chest strap that helps to reduce the weight from your back. A: Yes, the backpack perfectly fit under a small regional jets or 747 airplane. Q: Is the Backpack Waterproof? A: Actually not, but as the backpack made of Nylon and Poly Fabric, so it will keep your contents safe from light rain. Q: Is the backpack perfect for school or college students? 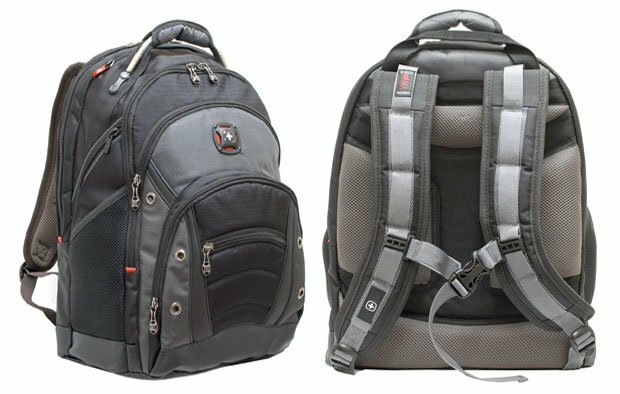 Overall, the Wenger SwissGear Synergy Backpack is a sturdy and lightweight backpack that made of high quality materials. Unless you are looking for an extra-large size backpack or an expensive backpack, the Wenger Synergy Backpack is the ideal one for you. As the backpack has a Rating on Amazon, 4.7 out of 5 with over 865 customer reviews, so we can confidently say that, this is one of the best laptop backpacks for travelers or students.